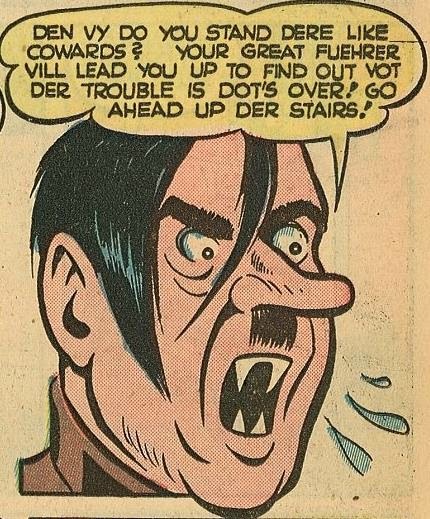 Hitler with fangs. Perfect distillation of propaganda art, or terrifying alternate history? Wow - generally fangs were only for the Japanese. I wonder if this counts as a win against racism?